There are some great promotions to be enjoyed at this online casino. One entails enjoying ten free spins upon registering but before depositing. The welcome bonus is spread out over the first three deposits. The promotions continue with Bob's Promo calendar that outlines ongoing promos as schedules. Plus, there is an ongoing loyalty program. Almost every game that one would expect to find at a casino can be enjoyed at the Bob casino. Which includes a good choice of slots and table games. 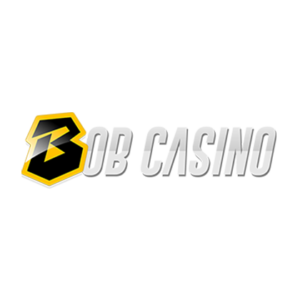 For even greater enjoyment is the live casino section of Bob Casino. The varieties within the categories of blackjack, Roulette is huge offering lots of great options. Bob Casino has utilized many different casino software providers. The Live casino platform is powered by Evolution Gaming, which has gained wide recognition for the provision of top quality live casino play. Other providers at Bobs Casino include NetEnt, NextGen, iSoftbet, Habanero, Gameart, Microgaming, Amatic, Pragmatic, EGT, Softswiss, Elk, and Betsoft. The theme of Bob Casino revolves around it being the funniest online casino in the world. But this casino is serious about providing good options for depositing. These include Wirecard, Paysafecard, Ximpler, Trustly, iDebit, Neteller, Visa, Mastercard, Neosurf, Skrill, Maestro, Ecopayz. There are also options for Instadebit and Interac. Depositing is quick and easy. It is also convenient to withdraw from Bob Casino. Methods that can be used for this process are Visa, Mastercard, iDebit, Instadebit, Skrill, Neteller, ecoPayz, Paysafecard, Trustly and Bank transfer. Some of these methods may not be supported in all countries or by all payment methods. Players may have to choose an alternate method for withdrawals. Another exciting aspect of Bob Casino is that this is an online casino platform that supports many different languages. These include EN, RU, NO, Fl, DE, PL, PT, ES, FR, JP, CN and NZ. When a site visitor wants to convert their site to their language of choice they can do so by accessing the dropdown menu. Players who are choosing an online casino to play at often want the option of playing in different currencies. Bob Casino has done their best to accommodate their players by accepting the following currencies; EUR, USD, CAD, NZD, RUB, NOK, and PLN. There are enough choices here that should be acceptable for most players. Bob Casino provides some great casino gameplay opportunities. One of the most exciting is the live casino platform that is packed full of exciting casino games. Then there is the Bob Casino app for those who want to play on their mobiles. Instant play for Bob Casino is easily accessed through a browser. Bob Casino gives the option for those on the site to access their live chat. This is done through the support section in the dropdown menu. For those who prefer to contact the casino via email, there is that option as well. Both of these are good options for those who need more information.